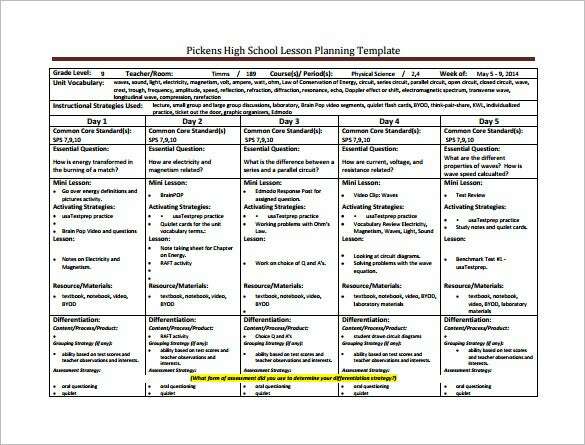 High School Lesson Plan Template – 9+ Free Sample, Example, Format Download! 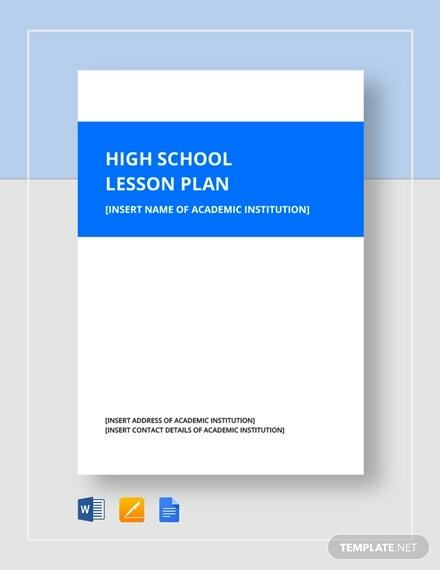 It’s challenging to be a high school teacher but you can ease your burden by a great extent with a high school lesson plan templates. The idea here is to stay systematic and organized so that you are completely aware of your steps beforehand – like what lesson to be taught, the main points to be noted from the lesson, the duration, the summary etc.- and this is where the lesson plan would come handy. 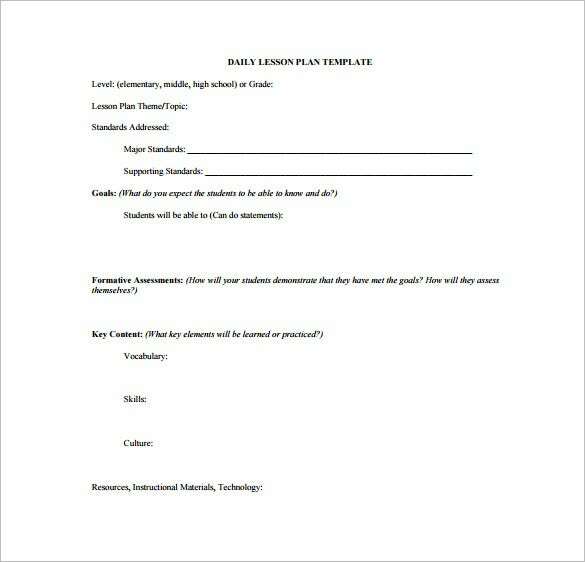 You may Like Preschool Lesson Plan Templates. 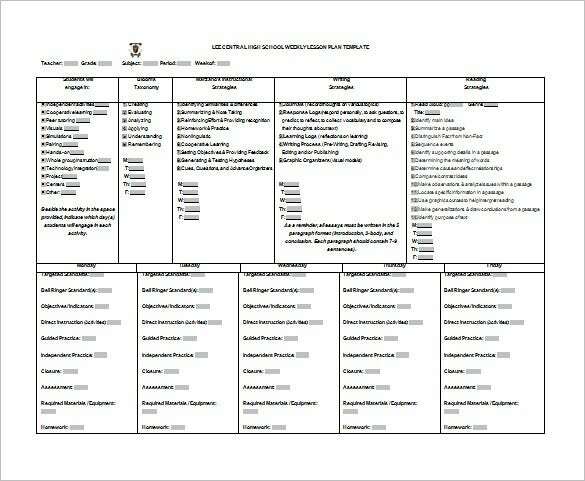 programs.ccsso.org | This is a very simple and basic high school lesson template which comprises of the necessary prerequisite fields which are considered as standard. The format is a paragraph-based. 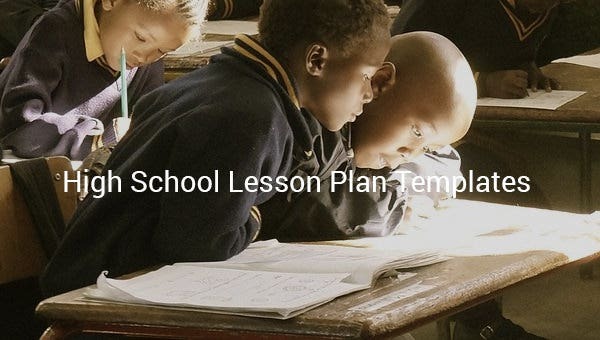 At the start, there is a summary of the lesson plan which tells you what the lesson plan is all about. At the bottom, there is a box in which instructional outcomes are mentioned. 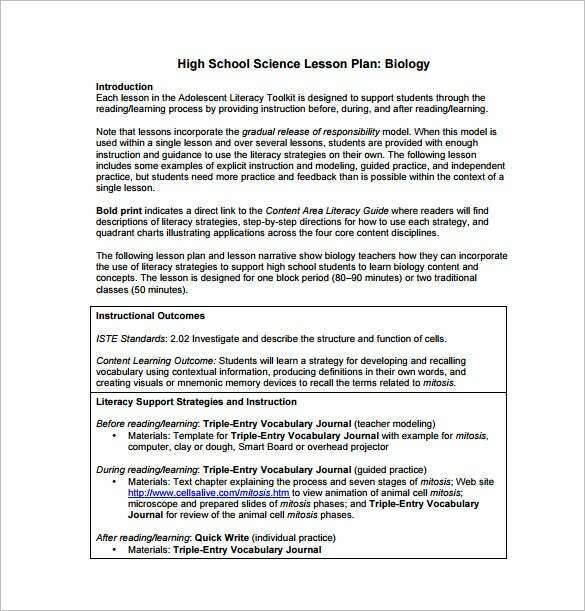 calacademy.org | This high school biology lesson plan proceeds with grade level, subject, duration & setting and then it comes up with different pointers for objectives, materials as well as the vocabulary. 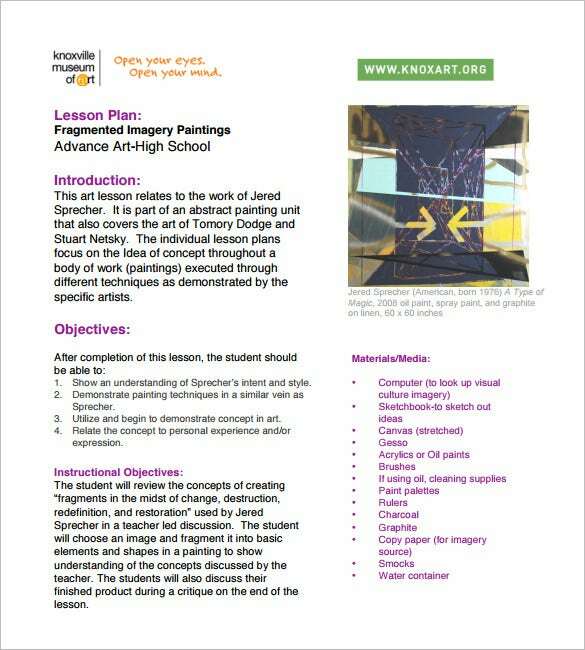 theproecenter.info | This high school English lesson plan sample starts with a sizeable description on what to expect from the program and how it will help the teachers. Then, you have a box on instructional outcomes & literacy support strategies & instruction. 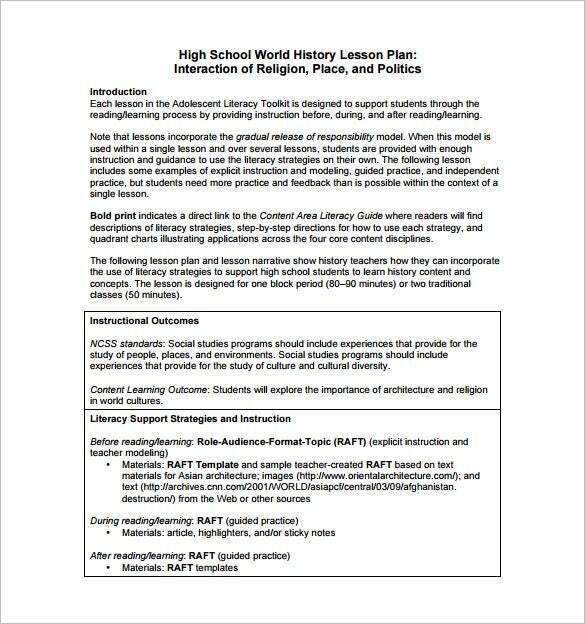 theproecenter.info | This high school world history lesson plan starts with a discussion on the contents of the lesson plan & how it can help history teachers. 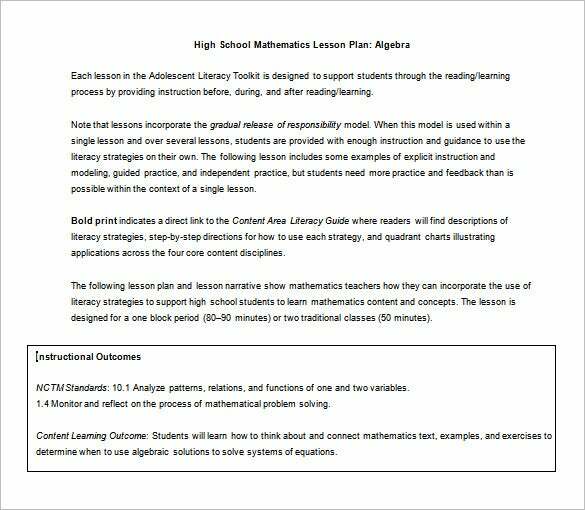 It then concludes with a table containing instructional outcomes & literacy support strategies & instruction. 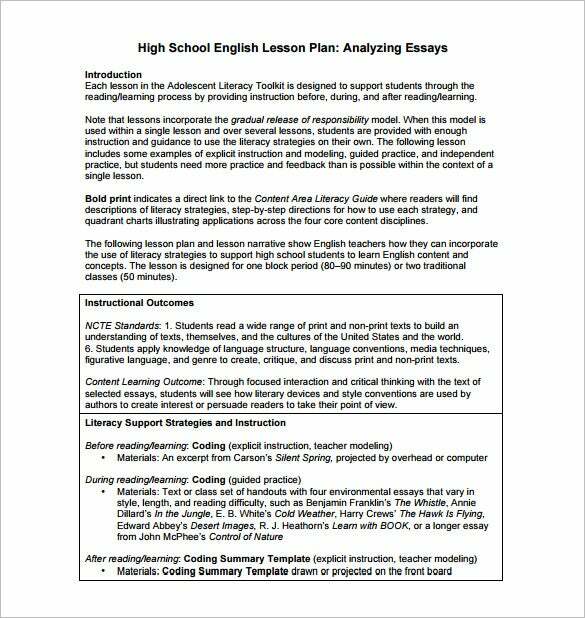 This high school weekly lesson plan template starts with the activities for the students, Bloom’s Taxonomy, instructional strategies, writing strategies, reading strategies and below you have tasks for each day. 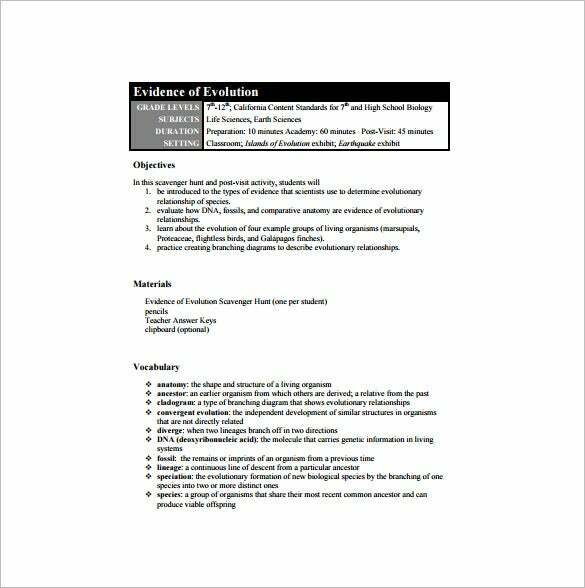 startalk.umd.edu | This is a basic and simple daily lesson where you will have to enter your specific information for various major lesson plan pointers like level, lesson plan theme, goals, formative assessments, key content & resources.